I'm Here. I'm Queer. What the Hell do I read? : A Cool Way To Celebrate Rosh HaShana - The Jewish New Year: Check Out These GLBTQ Jewish Heroes! 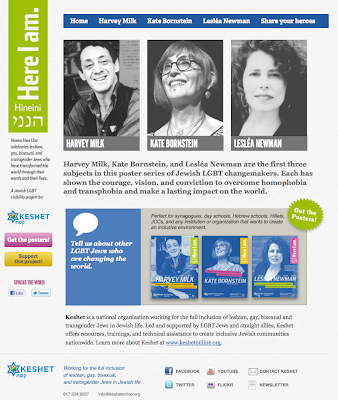 A Cool Way To Celebrate Rosh HaShana - The Jewish New Year: Check Out These GLBTQ Jewish Heroes! 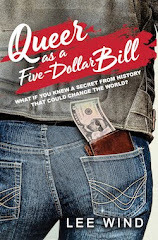 So there's this campaign by Keshet (Working for the full inclusion of LGBT Jews in Jewish life) to highlight the contributions of Gay, Lesbian, Bisexual and Transgender Jewish heroes. 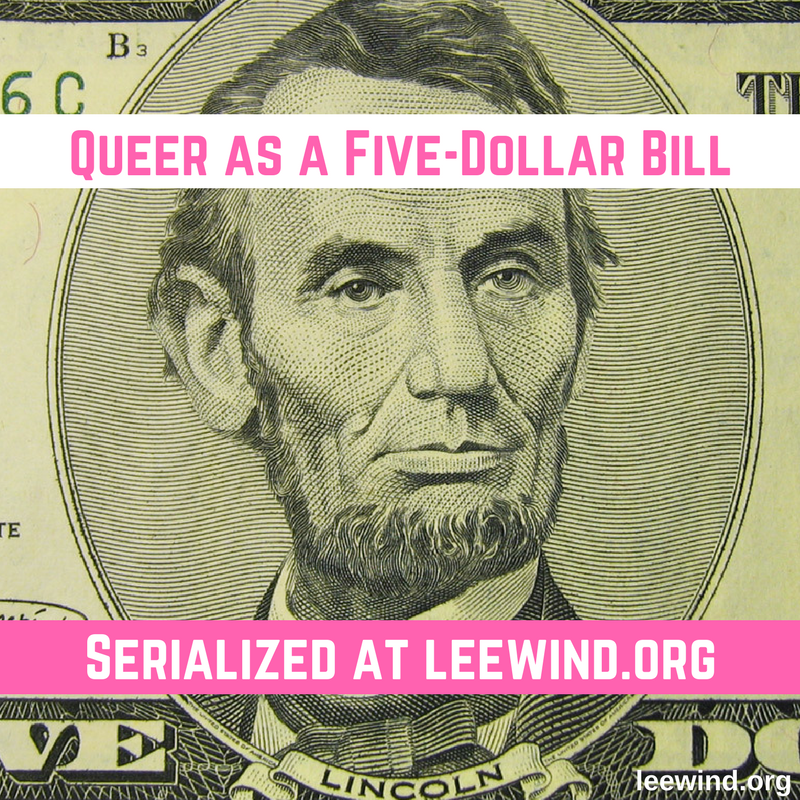 Their first three they're celebrating are Harvey Milk, Kate Bornstein, and Leslea Newman. There are timelines and photos and ways to get involved - they even have posters! I appreciate the project, but the part I found most fascinating was the page on their website asking for people to share their own personal queer Jewish heroes. That made for some great reading. So on this Jewish New Year, let's take a moment to recognize the light of these people who are GLBTQ and Jewish! My thanks to Barbara for the heads-up about this project, so I could share it with you.